Developed to meet a Soviet Ministry of Defense requirement for a fast bomber that would counter the threat posed by NATO, the Tu-16 was a ground-breaking project. It was the first Soviet medium bomber to feature swept wings, and it was built around a pair of turbojets that were the world's most powerful jet engines at the time. First flown in 1952, the Tu-16 filled such roles as nuclear bomb delivery, missile strike, reconnaissance, and Electronic Counter Measures. It also served as the basis for the first Soviet jet airliner, the Tu-104. 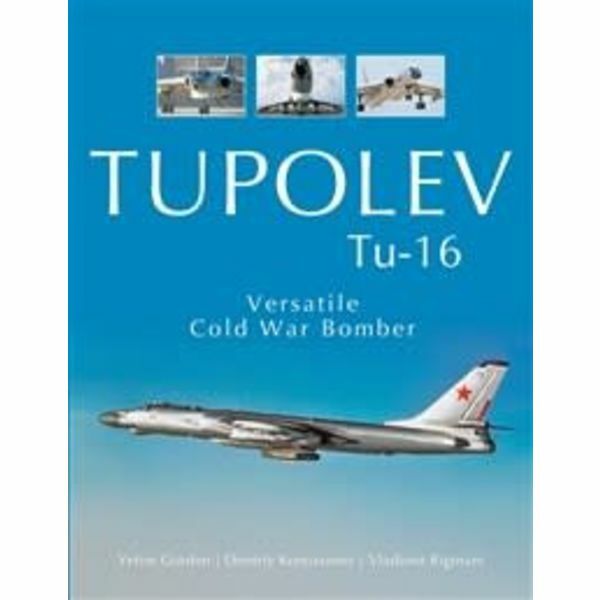 Nearly 1,500 were built for the Soviet Air Force and the Soviet Navy, and the Tu-16 showed remarkable longevity, the final examples being retired in 1993. The type saw quite a bit of combat—from the Six-Days War of 1967 to the Afghan War. The Tu-16 was also produced in China and remains in Chinese service to this day. 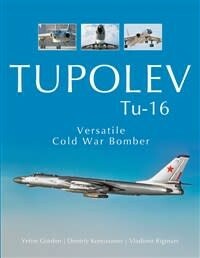 All known versions are described, as is the Tu-16's operational career. The book features many hitherto unpublished photos. Published in November 2017, 464 pages, Hardcover, Hundreds of Black and White and colour illustrations.